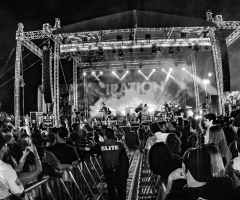 What better way to enjoy summer than by attending the Del Mar Concert Series? Each concert is free if you enter before the start of the last race. Why not come early, take a chance on a horse and get your groove on with sounds of summer? 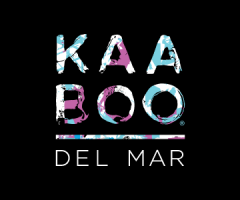 After the last race, collect your winnings, grab a drink and head on over to the stage, where you can feel the ocean breeze and catch a beautiful Del Mar sunset. 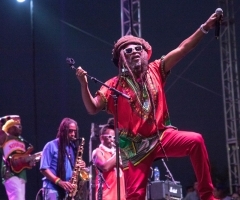 Steel Pulse gives you high energy guitar jumps, dreads flying and trio guitar jams. 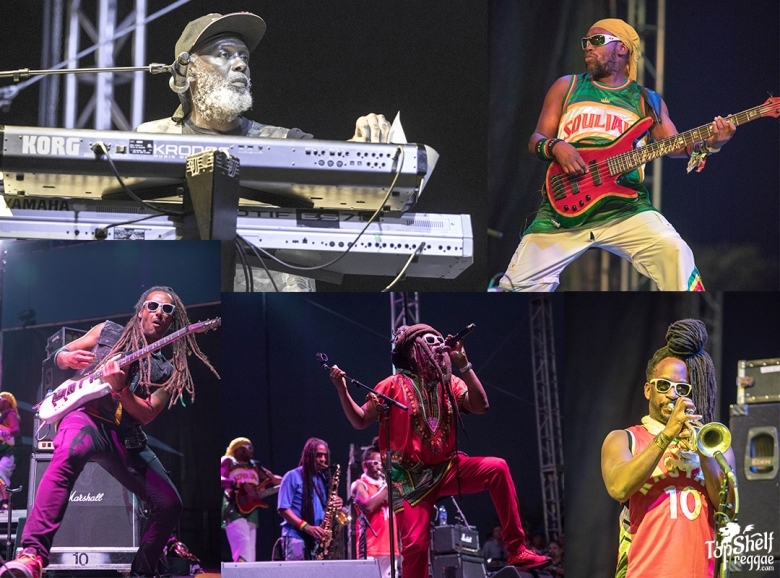 On July 27, 2018, the Del Mar Concert Series welcomed legendary reggae band Steel Pulse to close out a day of racing. As soon as the winner crossed the line of the last race, fans grabbed their drinks and made their way over to the stage. There’s not a bad 'seat' in the house (standing room only, folks). And, who needs an opening band when you have Steel Pulse?! Steel Pulse stands for messages of love, justice and positivity that have remained the same and relevant since they began in 1975. Co-founders David “Dread” Hinds and Selwyn “Bumbo” Brown bring the energy and messages of peace, hope and True Democracy. “We believe in love and justice, living in harmony with one another and nature. Our mission is bring hope into the hearts of people – that things can get better if we unite to do the right thing. Despite the wickedness in the world, we believe in positivity,” Hinds states on the band. When you go to a reggae show, you think chill, irie, just swaying to the music, but Steel Pulse gives you high energy guitar jumps, dreads flying and trio guitar jams. Check out when lead guitarist David "Electric" Elecciri and five-string bassist Amlak Tafari joined David Hinds for a jam session and great photo op above and in the gallery to come. 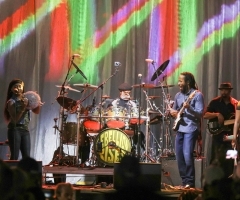 Fans were feeling the energy exude from the stage while singing along to the familiar lyrics like “open says a me, here comes Rasta Man” and "life without music”. If you missed this show, southern Californians have another chance to catch Steel Pulse with The Simpkin Project supporting Thievery Corporation at the Pacific Amphitheatre on August 24, 2018.